The George S. Mickelson Trail is a wide pathway that follows an old rail line through scenic forests and mountains in the Black Hills. Today, the 117-mile long gravel-covered rail trail provides hikers and bikers of all ability levels with a wide, relatively level path (some small sections are considered moderate) that runs from Edgemont to Deadwood, along with short branch trails. Multiple trailheads make all parts of the trail accessible. Between Deadwood and Rochford along Forest Service Road #17. In Rochford, between Rochford and Hill City along Mystic Road. Between Hill City and Custer along Hwy-385. Between Custer and Pringle along Hwy-385. In Pringle, near the junction of Hwy-18 and South Dakota-89. One of the best ways to enjoy the trail is via bicycle. Bike rentals, as well as shuttle services, are available at various shops along the trail. 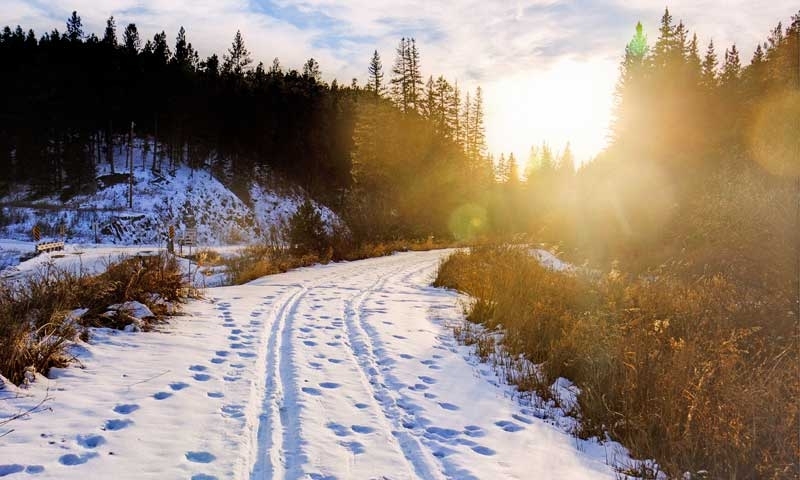 The Mickelson Trail is a great place to cross country ski in the winter months. Trail passes are $3/day or $15 for an annual pass. Passes must be carried on person when using the trail in order to avoid a fine. Trail users under 12 do not need a pass. Sections of the George S. Mickelson Trail within city limits do not require a pass. Warming stations and water cisterns are located in various places along the trail. Be sure to carry water, as cisterns are only available in the summer. Parts of the trail can be hot and unshaded, so bring appropriate clothing and sunscreen. Camping along the trail is not allowed. Print out a Mickelson Trail Map before you go. The George S. Mickelson Trail is located in Lead, South Dakota.